Challenge yourself to be uncomfortable. This will help you deal with uncertainty and open up a whole new world of experiences as you no longer rely on acceptance and approval for your survival. 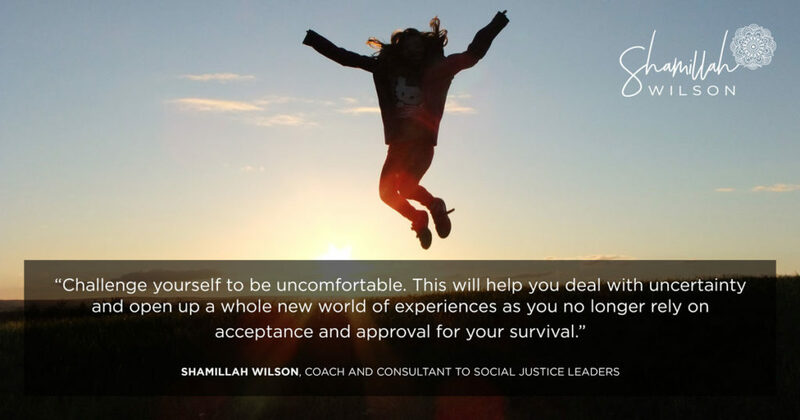 This entry was posted in Quote and tagged Challenge yourself to be uncomfortable., Shamillah Wilson, Shamillah Wilson quotes.